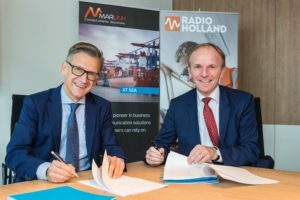 Marlink and Radio Holland have concluded a partnership agreement whereby Marlink has acquired Radio Holland’s connectivity business. The partnership builds on the complementary strengths and extensive expertise of the two leading technology companies and enables Marlink to further strengthen its global leadership in maritime VSAT. Radio Holland will be the preferred global sales and service partner and offer Marlink’s world-class and future-proof satcom connectivity portfolio in combination with its well-established maritime electronics solutions. Furthermore, Radio Holland and the Marlink Group, including Telemar, will intensify their existing cooperation in NavCom sales and servicing. 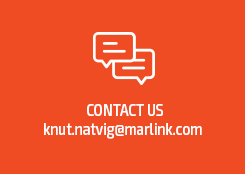 With the transfer of Radio Holland’s connectivity business, Marlink will further strengthen its position as the worldwide leader in maritime communications and VSAT services, generating close to $500 million of revenues and serving about 5000 VSAT vessels under contract. The agreement is a win-win for all parties involved. Together, we will provide our customers with best-fit and future-proof connectivity solutions, said Erik Ceuppens, CEO of the Marlink Group. Radio Holland’s customers will experience a seamless transition to Marlink’s network, where they will enjoy the best-in-class maritime VSAT service of the industry together with a rich solutions portfolio designed to support vessel operational efficiency, crew welfare, remote ICT management and security. By strengthening our partnership with Marlink we can bring even more connectivity innovations to customers worldwide,” said Paul Smulders of Radio Holland Group. It is a logical addition to our strategy innovation focus of providing the shipping industry with remote monitoring and IT on-board solutions, through our global service network. It’s all about better serving our customers with innovative solutions and applications that enable digital vessel operations and help ship owners lower the total cost of ownership. Radio Holland is well-known in the maritime industry as global NavCom, IT on Board, Connectivity and Service & Maintenance provider. Available 24 hours a day, 7 days a week, Radio Holland connects its customers to an unrivalled network of 80 offices and support locations along the global shipping routes. The company also provides 24/7 remote monitoring services. By monitoring the performance of vessel’s electronics, Radio Holland supports ship owners by detecting, predicting and solving issues remotely. Radio Holland delivers unique technical service expertise which helps customers run smarter, more profitable businesses with less downtime and lower operational expenditures.